It was interesting to see the launch of “Inbox Pause”, an add-in for Gmail from Baydin Software, the same folks who develop Boomerang for Gmail (and indeed, Boomerang for Outlook). These add-ins are designed to help manage the constant flow of email that most people have to process daily. Inbox Pause is an interesting idea because it adds a “pause” button to Gmail that pauses the delivery of new messages. The new messages don’t show up in the Inbox as they are marked with a label that effectively hides them from the Inbox. You can still get to the messages if you want to, but they don’t appear in the Inbox. It’s a case of “out of sight, out of mind”. The idea is that you’d use a pause when you go on vacation or need to work on a project so that you’re not distracted by the constant arrival of newly arriving email. Of course, sometimes it’s nice to be distracted by email but mostly it’s not very productive to work in a constantly interrupted mode. Later on, when you feel ready to deal with new messages, you click on an “unpause” button to have the add-in remove the label from the messages that it has hidden. The messages then reappear magically in the Inbox. At this point, you might have a heart attack when you see how many new messages remain to be processed but hopefully the rest you’ve had during the pause puts you in good stead to keep on working. Boomerang proposes a more comprehensive solution to Inbox overload. Some people are truly overwhelmed by the volume of email that they receive and need help in its processing. The old approach was to “Read then Action or Delete”. In other words, as soon as you read a new message, make a decision what to do with it – either reply immediately, delete the message (the best course of action for many messages today), or file it appropriately (including putting the message into a “follow up” folder). People who follow this rule have very small inboxes – at least, smaller than the vast majority of email users. It’s an easy rule to adapt to your own circumstances and it’s free and requires no add-on software. However, it’s also true that software can enable better working habits by providing features to help users deal with email more effectively. I don’t know if Boomerang would work for me as I suspect that my interaction with Outlook is deeply engrained at this point and a new modus operandi would not come easily. But deploying add-on software to each and every user desktop just to help people manage email better is not easy or cost-effective, especially when the numbers mount past a hundred or so. For this reason, I prefer server-based “help” whenever possible, such as the retention policies available in Exchange 2010 onwards. Implementing retention policies across an organization guarantees consistency in terms of the content that users are allowed to retain. However, it doesn’t provide any new features such as the ones built into the software described above, which might prove to be very useful to some. In addition, retention policies are never successful unless they are well-designed to meet the needs of the business and are clearly communicated to users, probably in several separate instances well before the policy becomes operational. On another topic, I’ve written extensively in the past on the need for Windows administrators to embrace PowerShell as it is the way forward for systems administration. Exchange 2007 was the first major Microsoft product to go “all-in” with PowerShell, a trend continued in Exchange 2010 and Exchange 2013 and now seen in all products across the Microsoft portfolio, including in every corner of Windows Server 2012. PowerShell can be hard to master. Its syntax is sometimes obscure and only beloved by those who enjoy complexity. It’s therefore important to have good learning tools to help administrators understand cmdlets, syntax, and usage. Exchange 2007 and Exchange 2010 are quite good in this respect but the move to a purely browser-based administration console in Exchange 2013 has a regrettable side-effect of dropping three tools that help administrators learn the ins and outs of the Exchange Management Shell (EMS). I hope that Microsoft will be able to bring these EMS learning tools back in Exchange 2013 SP1. In the meantime, I think the “Rambling Cookie Monster” project to construct a PowerShell Cheat Sheet is a worthwhile endeavour as it should help others to understand PowerShell better across a range of Microsoft products. One of the references cited in the project is an Exchange 2010 PowerShell Cheat Sheet, a good resource for anyone who works with EMS. I hope that this sheet is updated for Exchange 2013 to take account of the 180-odd new cmdlets introduced in this release. This entry was posted in Email, Exchange, Outlook and tagged Cheat Sheet, EMS, Exchange 2007, Exchange 2010, Exchange 2013, Exchange Management Shell, Gmail, Outlook, PowerShell, retention policies. Bookmark the permalink. 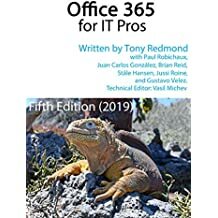 The Exchange 2010 Best Practices book from MS Press also includes a EMS Quick Reference Card with the most important Exchange cmdlets and an explanation of the syntax. The EMS Quick Reference Card is available for free at http://bit.ly/H4QlzG.